2011 Ashden Awards - 2 winners build stoves! Toyola Energy Finances their cookstove through an innovative credit system. They sell the stoves on credit, and provide a "money box" which proud stove owners can use to pay off the stoves from the money they save on charcoal each week. That has allowed the company to employ local producers to build the stoves, and increase the number of improved stoves distributed and in operation while at the same time cultivating pride in ownership among stoves owners. AKPBS distributes improved stoves as a part of in integrated approach that helps families owners with insulation, and improved stove with chimney, a water heater, and a roof hatch to let in light and fresh air. This cultivates a pool of locally based artisans and entrepreneurs and the integrated approach dramatically each families lives while reducing the fuel they need to burn. 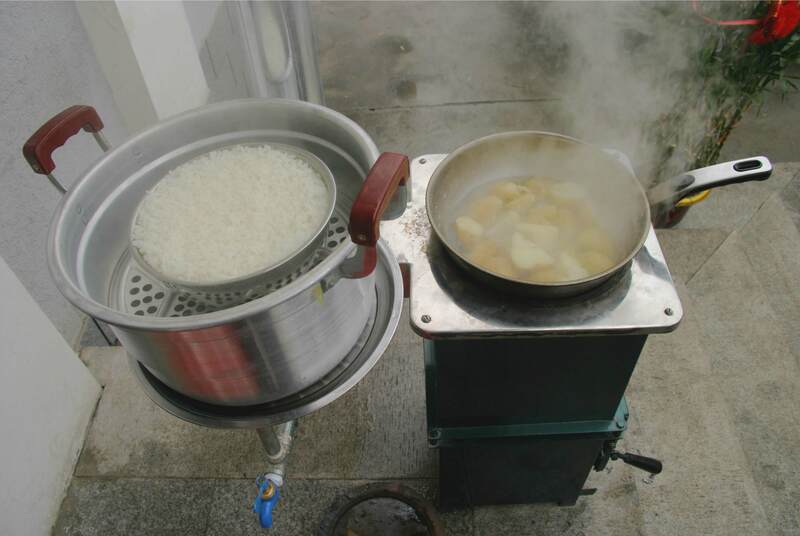 The Aprovecho Research Centre in the US and Shenghou Stove Manufacturers in China have pooled their rich experience and skills to produce a cheap, robust and efficient stove for mass production to developing countries. The stoves replace dirty and polluting kerosene and open fires saving up to 50 percent of fuel wood and reducing 70 percent of dangerous emissions. SSM has sold over 60,000 stoves since 2007, producing them at a rate of 12,000 stoves a month and selling them to distributers. The main customer is Envirofit International, which markets stoves in India supported by the Shell Foundation. Other customers are in South Africa, Tanzania, Madagascar, Argentina and Chile.